It’s that time again where I announce the December Baking Challenge recipe and pick a winner for November! I’m so excited to see people joining the challenges! I’m so sorry I’m a couple days late posting this challenge. It’s the busiest time of the year, for sure. Now that I have a minute to sit down, I’ll throw this post together and get the December baking challenge on the road. We had yet another successful monthly baking challenge! There are 5 awesome gingerbread cupcakes! The gingerbread cupcake toppers were a little tough to find, so several people made their own which I LOVE! 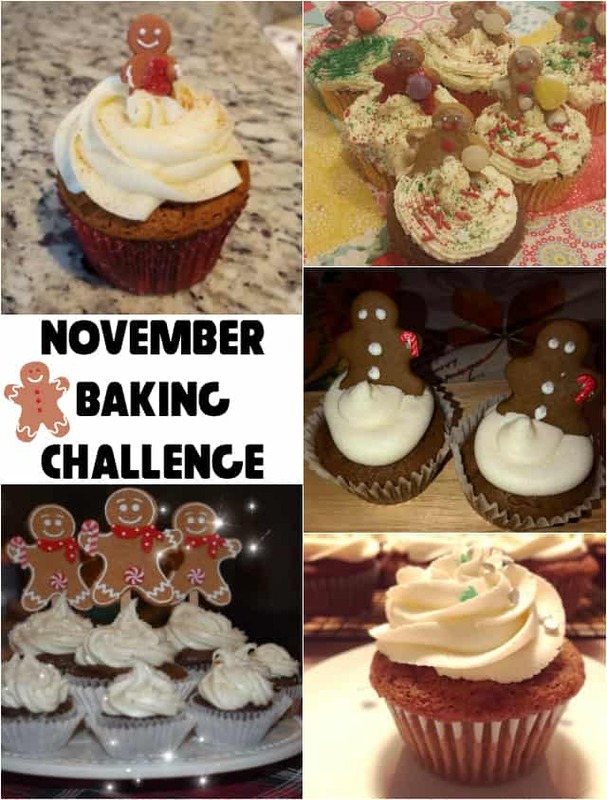 I’ve grabbed all of the photos from the Facebook Group where you can enter to challenge and created a collage of November’s Baking Challenge entries. Take a look! I plan on hopefully making a video for the gingerbread cupcakes this week. My plan was to do it last month, but I’ve been putting together 5 cookies with 1 dough recipes since my Five Christmas Cookies One Dough recipe has gotten a lot of attention! Keep an eye out or sign up for my newsletter to get the other cookie recipes coming out a little later this month. For December’s post, I chose another recipe that will fit into the holiday season. 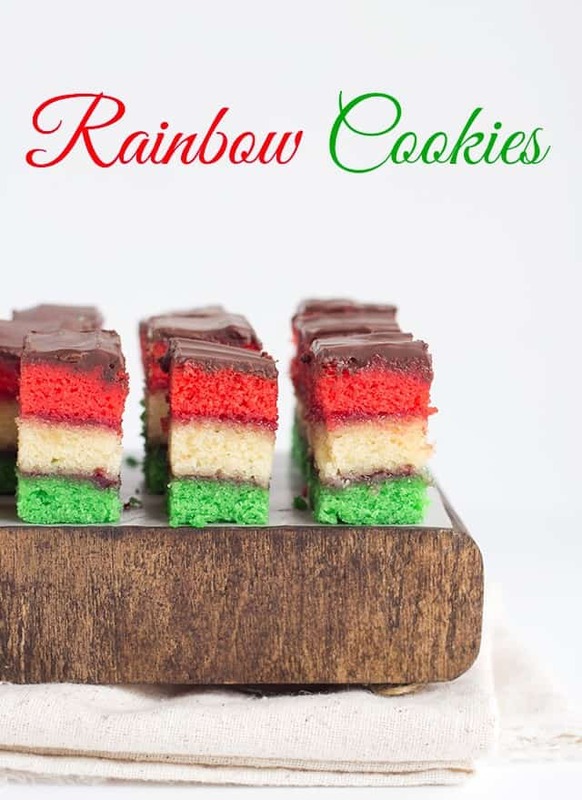 The holidays are in full swing and we’re going to be making rainbow cookies! You’ll be able to enter them into the monthly baking challenge and then take them to a holiday party! 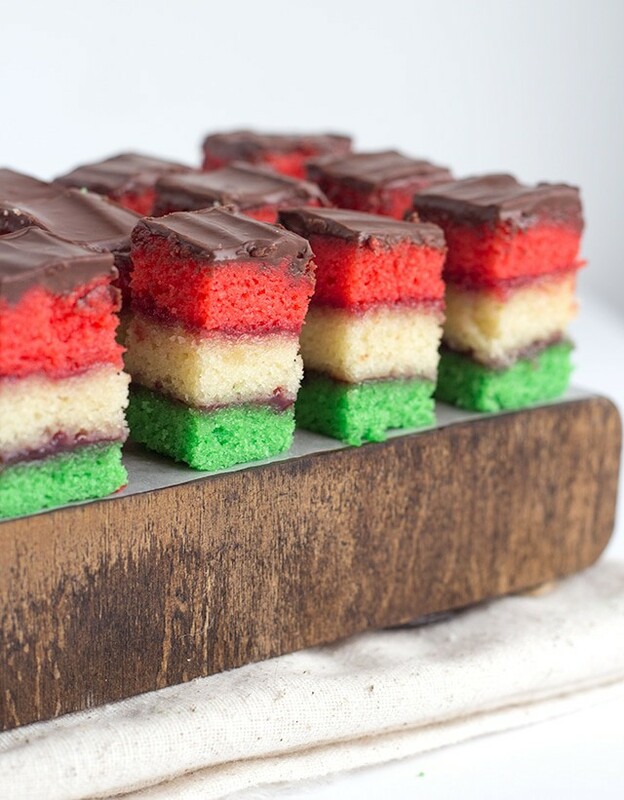 If you’re into almonds and using almond paste, you’re going to love these rainbow cookies we’re making this month. This month my son is at school while I’m picking a winner so I just randomly selected a winner from random.org. Shelly Mitchell is the winner. She will receive the $50 Amazon gift card! I’ll be notifying them in the Cookie Dough and Oven Mitt VIP group. 1. Create the rainbow cookies recipe linked above. 3. Share your photo in the Cookie Dough and Oven Mitt group with the hashtag #bakingchallenge by December 31st at 11:59 PST. You’ll have to request to join the group if you haven’t already.